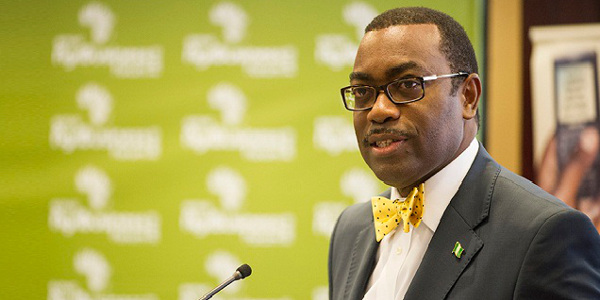 Its good news for Nigeria as the Minister of Agriculture, Dr. Akinwumi Adesina, is elected President of the African Development Bank (AfDB). His election was on Thursday in Abidjan, the capital of Ivory Coast where the African Development Bank Annual General Meeting has been ongoing. He beat seven other contenders for the top job. The cheering news comes as Nigeria prepares for the inauguration of the newly elected administration of President-elect, Muhammadu Buhari, which holds in less than 24 hours. The incoming president had in April communicated his backing of Dr. Adesina’s candidacy to the Ghanaian President, John Dramani Mahama, who is the current chairperson of ECOWAS. Mr Buhari said that his support of Dr. Adesina’s candidacy was not just because he is Nigerian but because he “has a proven track record in a career that predates his position as Nigeria’s Minister for Agriculture and Rural Development”. The statement further adds that “Dr. Adesina is also an agricultural development expert with 24 years of experience in developing and managing successful agricultural Programmes across Africa”. Until his appointment as Nigeria’s Minister of Agriculture and Rural Development in 2011, he was the Vice President, Policy and Partnerships Alliance for Green Revolution in Africa (AGRA). He has also held senior leadership positions in a number of agricultural institutions in the world.